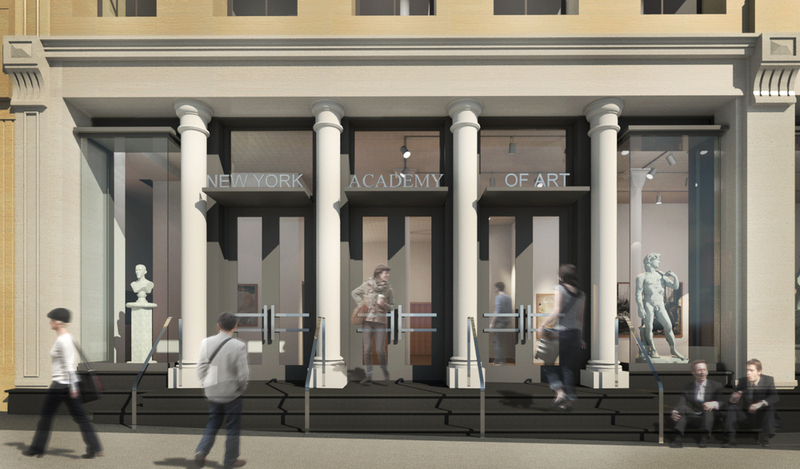 The New York Academy of Art is one of TRA's numerous storefront reconstructions and interventions in Tribeca. 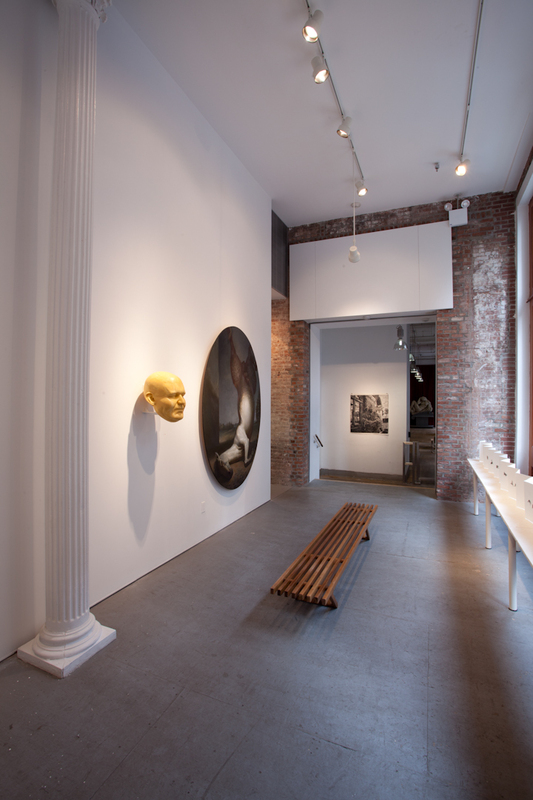 Contributing to the transformation of gritty Walker Street into a shopping area, the restoration of three structures along Lispenard returned to the city a complete block of historical loft buildings that had been forgotten. The buildings were a precedent at Landmarks for allowing larger additions. 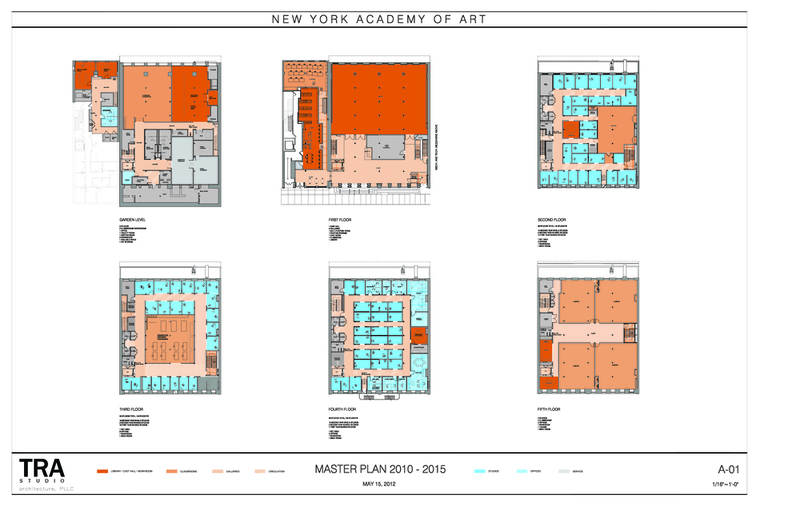 The phased renovation of the New York Academy of Arts, is turning the last bleak block in Tribeca into a lively arts destination. 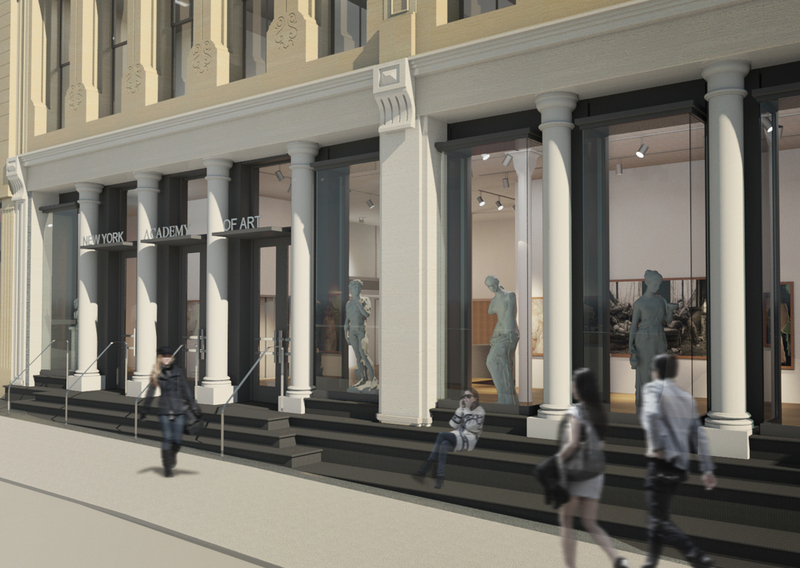 Nearby, the ongoing conversion of 372 Broadway is a catalyst for the development of the commercial district below Canal. 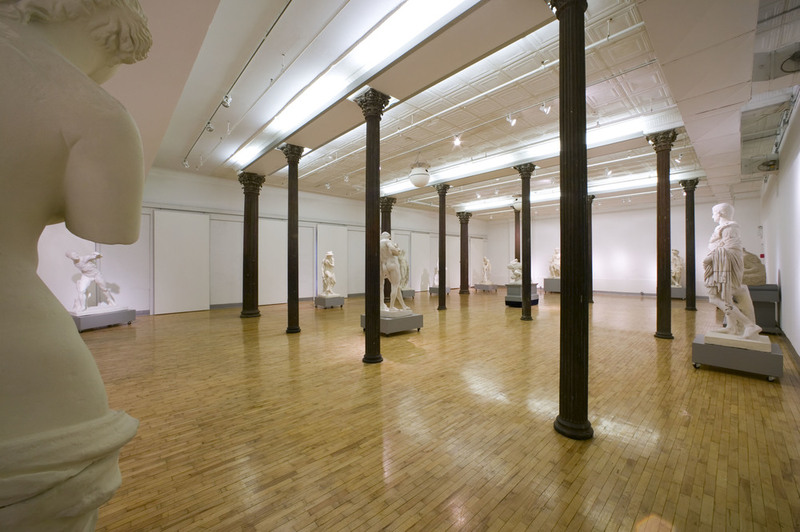 The Academy has been housed in the landmarked building since 1990 with almost no modifications to the original Landmarked 42,000 SF structure. In 2001, the school suffered a fire that destroyed approximately 50% of the interior. 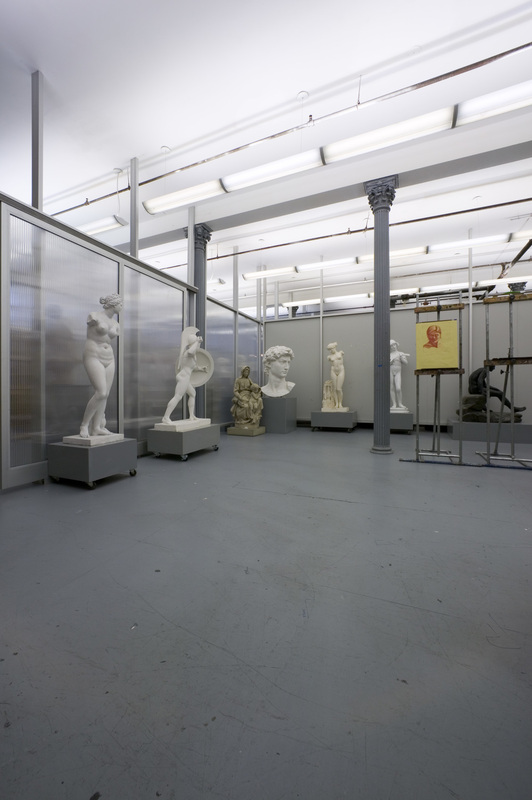 TRA was commissioned not only to restore the damaged building during a period of 16 weeks for a cost of $40.00 per SF, but also to rebuild the institution from a small trade school to its current status, which includes graduate studies, balancing practical needs with the complex issues connected to occupying a Landmarked Building. 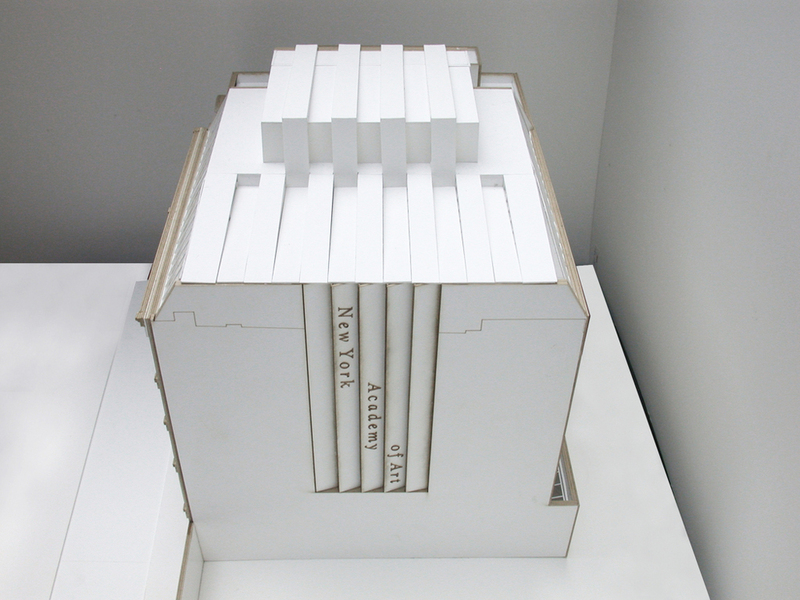 The 2001 renovation layered new materials juxtaposed to the raw industrial structure, exposed by the baring fire. 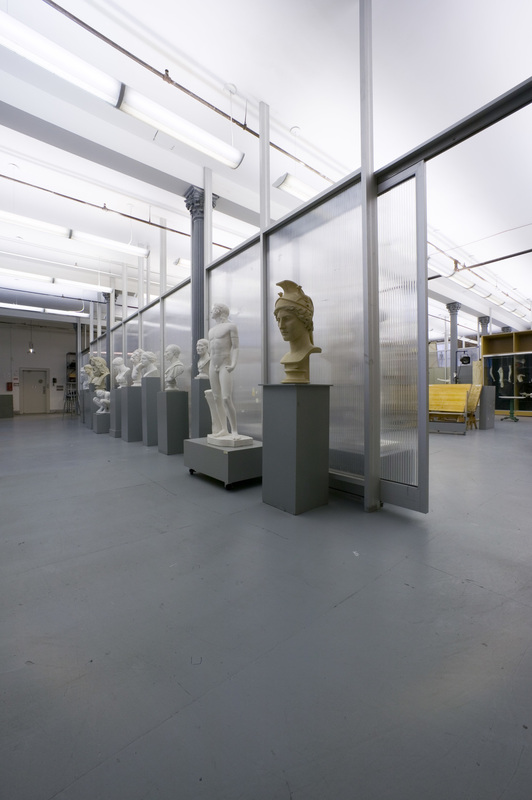 New translucent walls, constructed with storefront mullions and polycarbonate panels, at once defined and connected the painting studios, reminiscent of the 1800 French ateliers. The Master Plan, which was initiated in 2010, devises a phased construction schedule that allows for the work to be done during the twelve summer weeks. 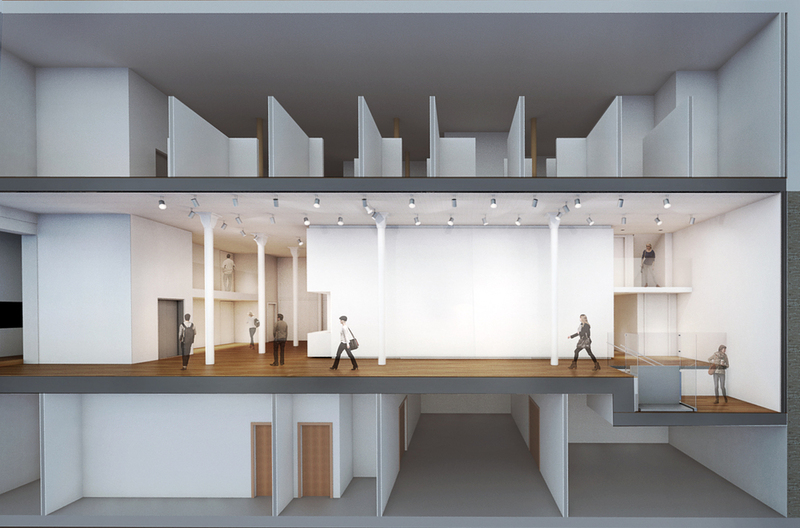 The new organization simplifies circulation, clarifies way-finding, provides a diverse range of flexible gallery spaces and offers long term growth strategies within the existing footprint. 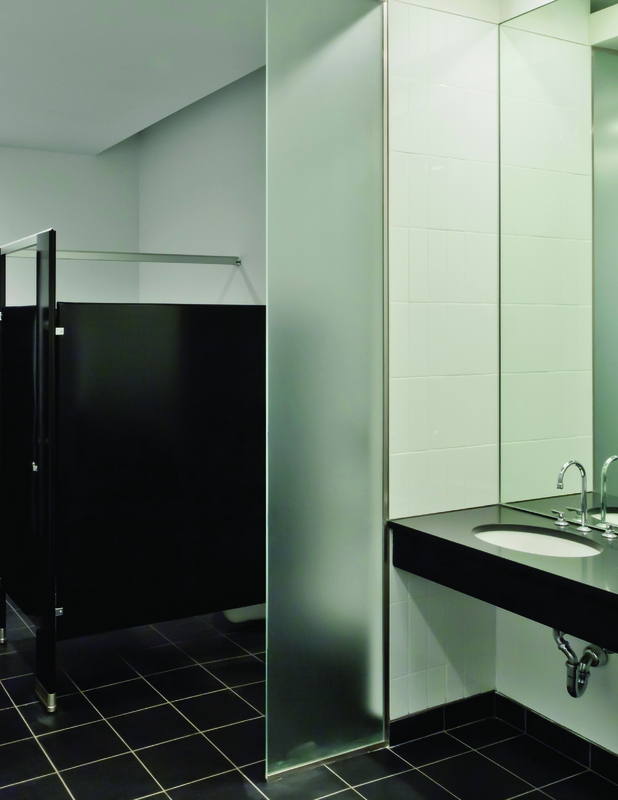 The interior renovation currently under-way, already demonstrated to have positively changed the way the students live in and perceive the Institution. The design of the interior spaces makes architecture part of the curriculum, every move and dollar is intended to help students create great art and the work becoming more enduring with the completion of every renovation phase. 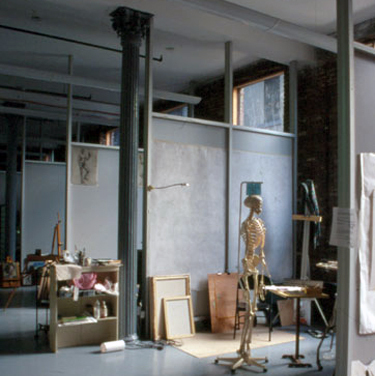 The industrial, authentic, responsible loft aesthetic and somewhat raw finishes, complements the art being produced, contrasting with and highlighting the often precious quality of the figurative paintings. The design responsibly takes full advantage of the historic surviving elements, which will keep getting better with the patina of use. 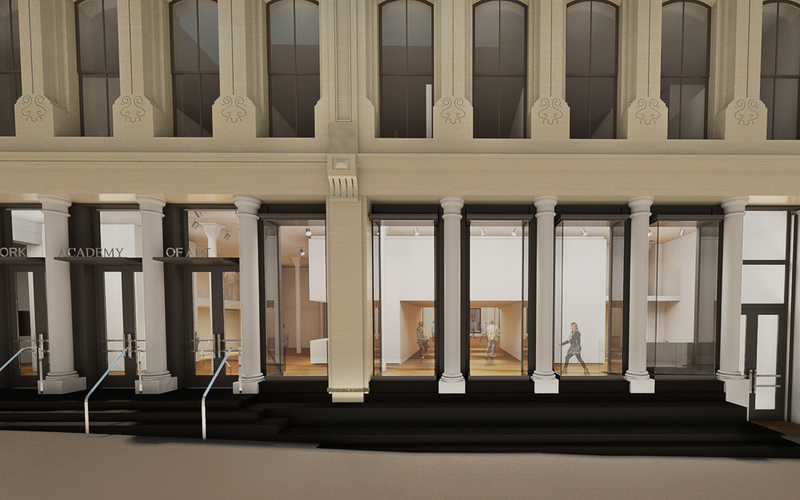 The ground floor, with a series of flexible shared galleries, opens the iconic Cast Hall visually to the street, will establish the NYAA's place as a cultural destination and significant venue for presenting art and arts programming. 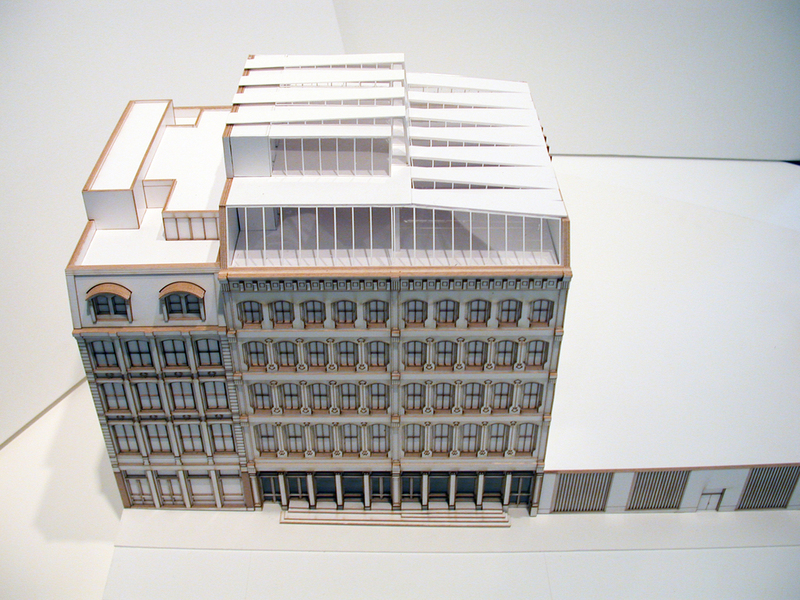 The new storefront infill intervention was recently unanimously approved by the Landmarks Preservation Commission after one presentation. The plan also includes the proposed 8,800 SF addition, which represents the last phase of the Master Plan. The design questions the typical non-descript accretions presently getting built in Landmarked Districts, proposing instead a mansard roof, kind of a urban sculpture, composed of zinc ribbons, sliced and pleated to create north light diffusing skylights illuminating a 7,000 SF column free space. The skylights, slightly visible from the public way, advertise the building’s use, morphing on the west façade into a studio window with integrated signage, claiming its prominence on Finn Square. All the extensive mechanical building systems are exposed on the rear façade, to maximize the usable space. 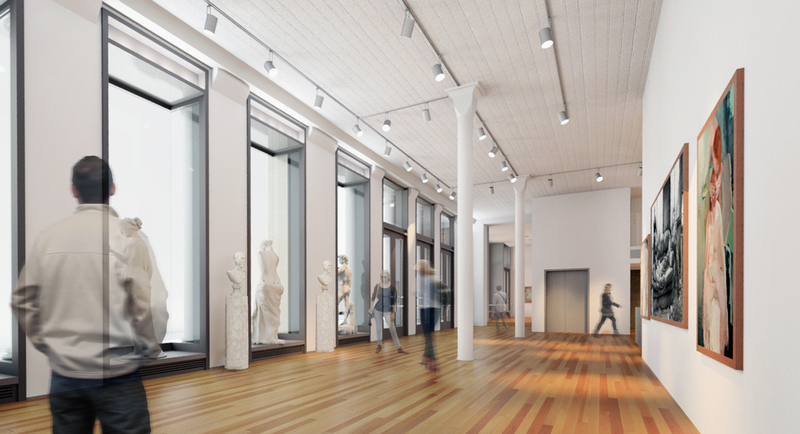 The subtle but effective presence and the clarity of the storefront design announce the School to the community, proudly declaring its status as the last light manufacturing single occupant in Tribeca. The full renovation of the structure will amplify the institution’s role both within the students’ community as well as with the community at large, becoming lively social nexus and contemporary space for casual student meeting and discussion. 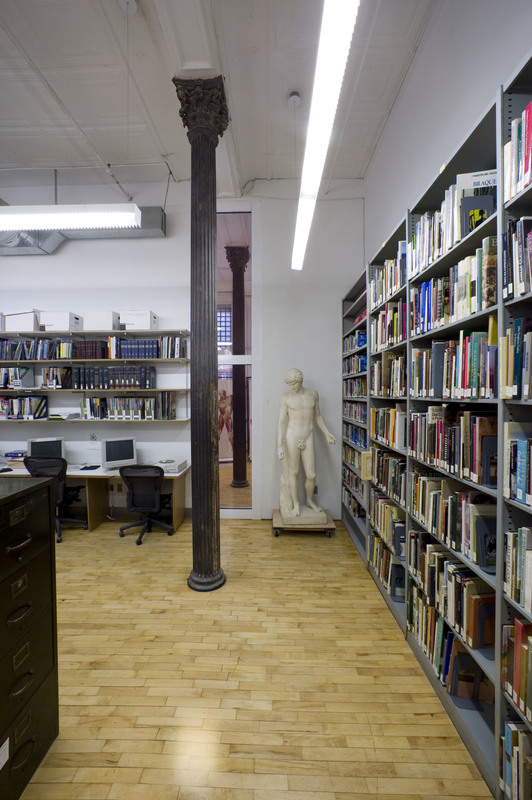 The Academy offers the chance to visit the last single user loft building in Tribeca, whose historic significance is amplified by the fact that it is in essence used for light manufacturing, purpose for which these buildings were originally built.